In its unique appearance of satin-finished glass, Kristall Satina extends the successful collection of Kristall gloss. At the same time, Kristall Satina impresses with its surprisingly authentic look and touch of satin-finished glass and with its highlighted and solid looking glass construction. The available number of either contrasted or color-matched edges is putting Kristall Satina into the harmonious relation between its smooth and plain looking surface and the color scheme of the rest of the living environment. 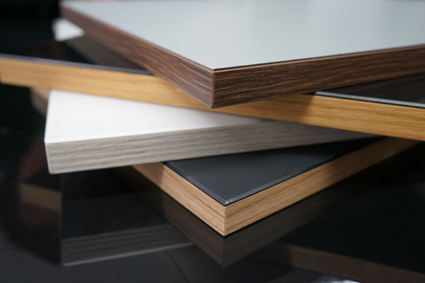 With the same excellent product features of the successful Kristall Gloss, it is not only suitable for discerning furniture manufacturing but also for the flexible use in the contract and condo sector. Particularly its high breaking strength, its extremely resistant and insensitive surface and its distorsion-free construction, this lightweight also offers numerous advantages in production and in application.